With many people spending up to 90% of their time indoors, the quality of our indoor air is important – whether it's in our own four walls or at the workplace. There is generally always room for improvement, and we'll share with you our tips and technical solutions that will help you breathe a sigh of relief. We took to the streets to ask how people ventilate their homes. There's always something – is it too hot? Open a window! Now it's draughty? Close the window! Too muggy or humid? Not good. When people aren't comfortable in their immediate environment, their performance can drop by up to 50%. This is because room temperature affects wellbeing more than almost any other factor. Of course, we're capable of adapting to certain conditions, but there is a clear area in which we can achieve our maximum performance – simply because the external conditions are perfect. A three-person household generates about ten litres of water per day, which are released into the indoor air in the form of water vapour. How does this affect indoor climate? First, of course, there is the weather: summer heat, dry cold, humid conditions when it rains – these external factors are obvious. But we're also having an impact: we breathe, cook, clean, shower and exercise, constantly exhaling carbon dioxide into the indoor air as we do so. A three-person household, for example, emits about ten litres of water a day in the form of water vapour into the indoor air. On top of that, the emissions from our building materials, furniture and floors are also having a negative impact. As a result, you may be surprised to learn that we are constantly surrounded by millions of – usually invisible – particles, floating in the air around us. Ideal air humidity, pleasant air flow, recommended air purity and a comfortable temperature: perfect air conditioning is made of many elements. What makes good air? 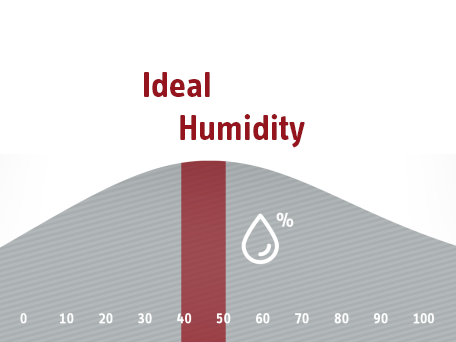 The optimum humidity for our homes is between 40 and 50%. In heated rooms this should not sink below 30% or rise above 60%. 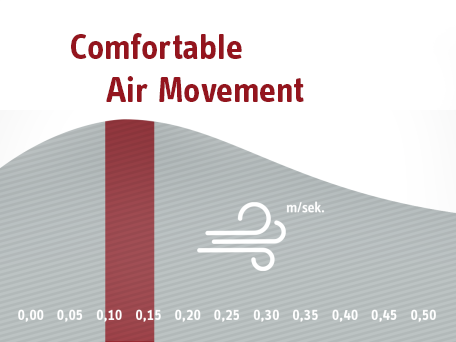 For the movement of air within a living space to be pleasant, its speed should be between 0.15 and 0.25 km per second. When installing a ventilation system, it’s important to adjust the ventilation and extract air vents correctly. To feel comfortable, the amount of CO2 in the air should be as low as possible. 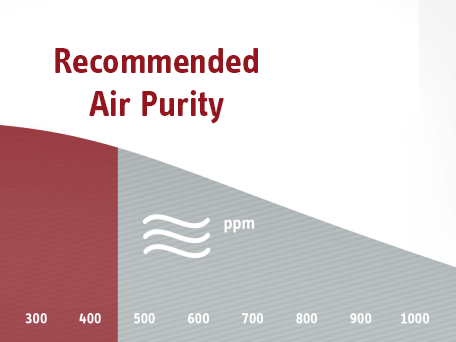 Depending on the time of year and location, fresh outdoor air has a level of about 300 to 400 ppm. Generally, temperatures between 19 and 23°C will be perfect for your home. 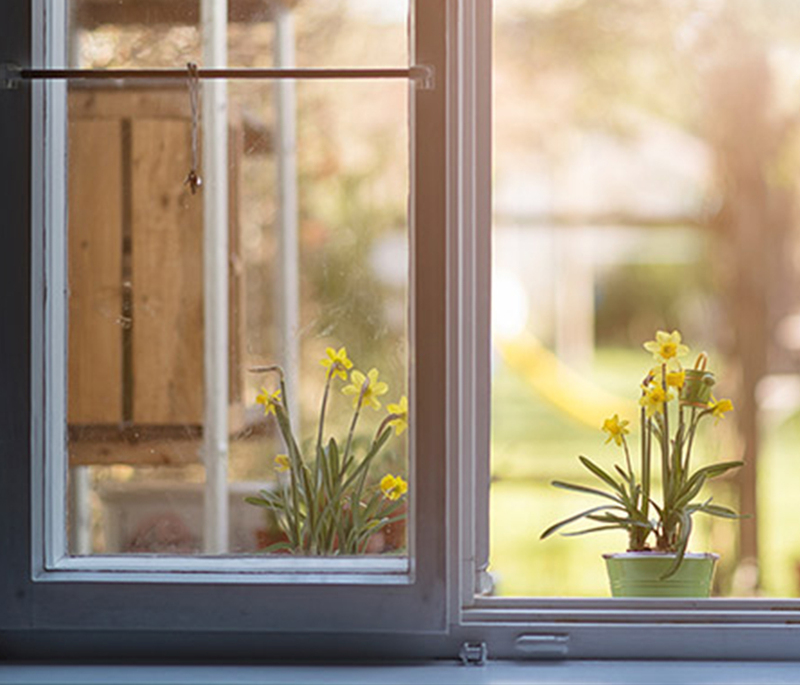 By opening your windows, you can lose more than 50% of heating energy. Rethink how you air your rooms! Airing your rooms correctly can mean turning off the radiators and then opening the windows four times a day for five minutes at a time – Even when it is cold outside. 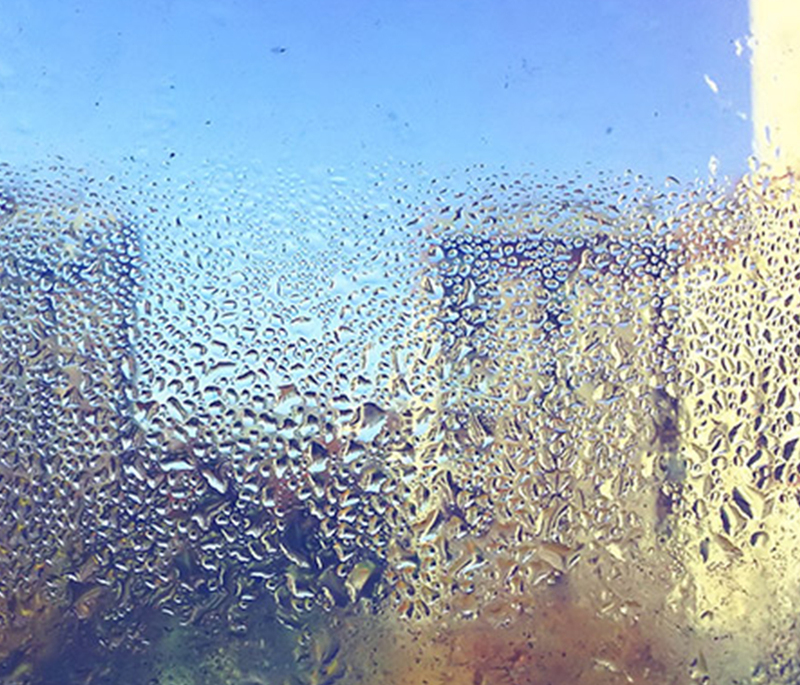 When you air your rooms by opening the windows, however, you lose more than 50 % of heating energy. The energy literally goes out of the window. If you work in an office, for example, you might not even be able to air your home regularly because you're not there to open the windows. This can lead to high humidity and even a risk of mould. Not just an annoyance, mould is a health risk, potentially causing respiratory diseases and allergies. This problem can be prevented relatively simply with modern ventilation systems. 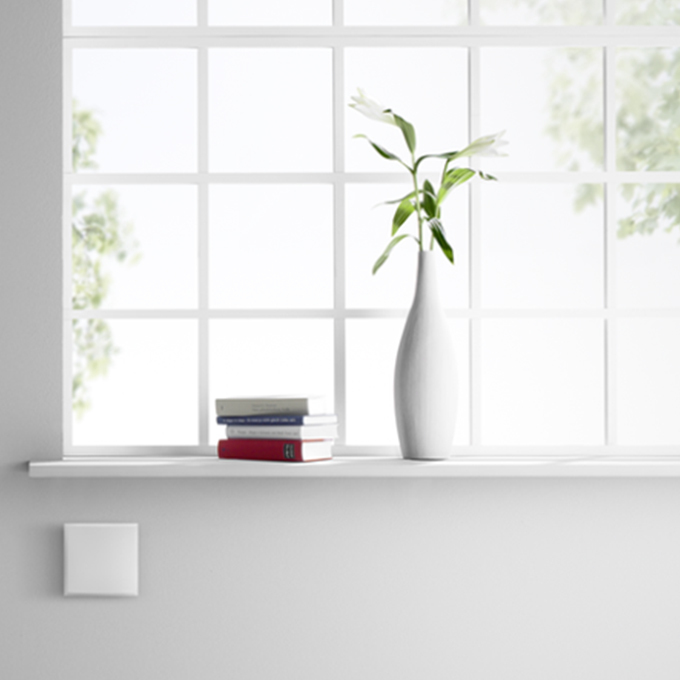 These work automatically, ensuring fresh, clean air and offering a significant energy saving potential. For an even more efficient system, use ventilation units with heat recovery, which recover up to 90 % of the extract air as well as heat from the outdoor air. They're an all-inclusive package that helps you save money. Over 50% of heating energy is lost through conventional window ventilation. 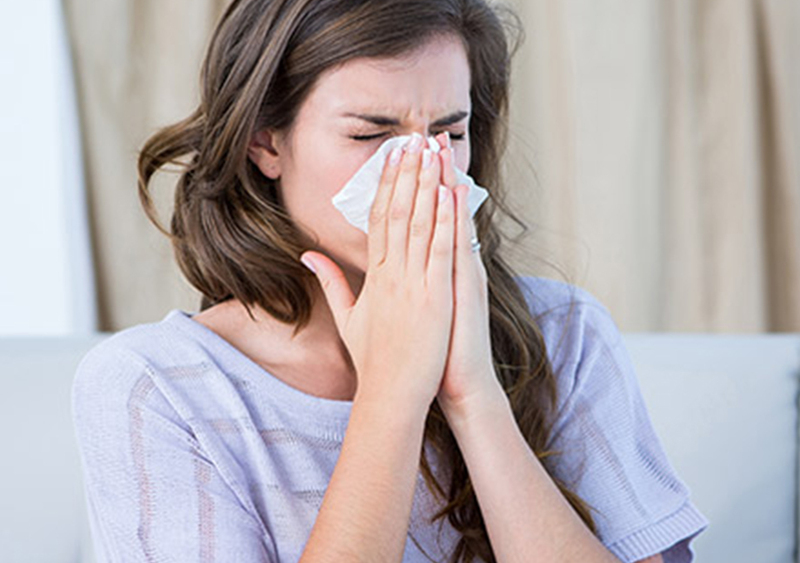 Ventilation system filters can reduce the pollen concentration in your home by up to 95%. Sneezing, difficulty breathing, streaming eyes – allergy symptoms are both uncomfortable and stressful. Yet many allergy sufferers do not know that ventilation systems can relieve many of these symptoms. They can even reduce the risk of mould formation and, with special filters, can reduce the pollen concentration of indoor air by up to 95%. Regular air changes prevent the spread of dust mites, which can often trigger allergies. It doesn't matter whether you choose a decentralised or a central unit. What's important is the class of the filters installed. As a general rule, central appliances have a higher air throughput and can usually be operated, for example, with F7 filters. For decentralised devices, the LWE 40 reversible fan is a good choice. Filters in ventilation systems can reduce the pollen concentration in your home by up to 95%. The demands on ventilation technology are as unique as our homes and workplaces. 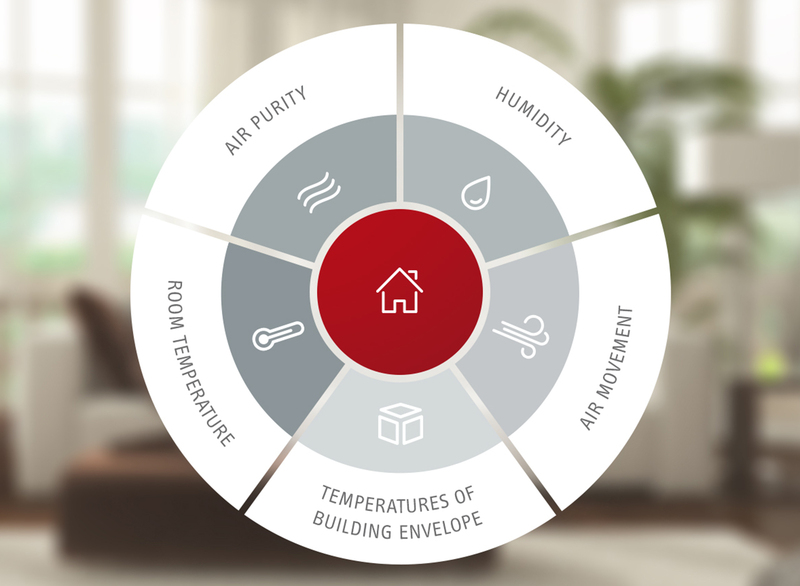 Whether you want to maximise potential savings when renovating or you're looking for a sustainable concept for your new build, STIEBEL ELTRON offers the perfect ventilation systems for every need. We have everything from decentralised systems right through to central ventilation units. Central ventilation units with heat recovery can also provide heating, cooling and domestic hot water heating. Builders in New Zealand should look toward the European energy-saving standards for inspiration. For a new build, this specifies a permanently airtight building envelope and, at the same time, a minimum air change rate. 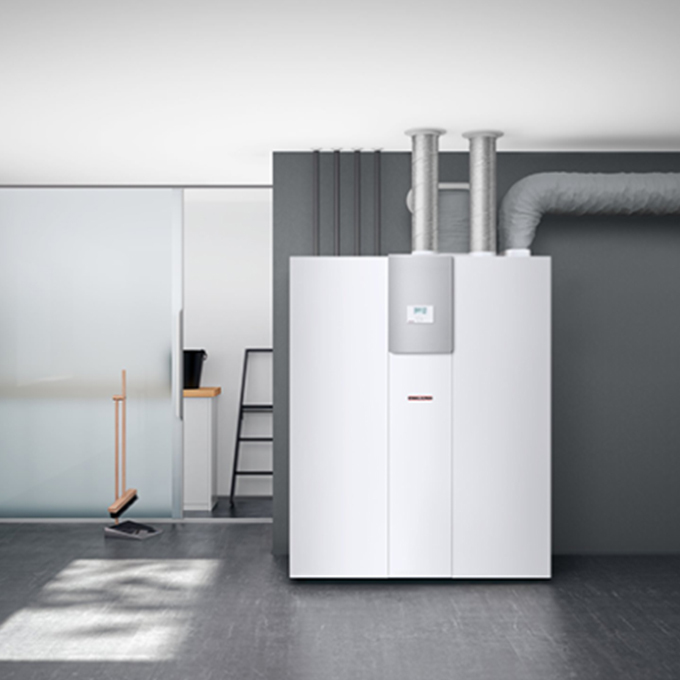 The good news is that, with a STIEBEL ELTRON system, these requirements are easy to meet – not to mention how energy efficient the new systems are. Decentralised ventilation units with heat recovery, on the other hand, are suitable for both new builds and renovations. Installing a decentralised ventilation system is easy, no matter what stage of the build you're at. Each unit works independently of one another to give you fresh air by extracting humid air from rooms such as bathrooms and kitchens. In short: a win-win solution for renovations and new projects alike!